I got up super early this morning, and all I could think about was how many burpees I was going to be able to do in 7 minutes. Yes, the first CrossFit Open WOD 12.1 is a 7 minute AMRAP of burpees. So I hustled to my work to gym to practice the movement for a bit. I did it for 2 minutes and got 27. I was getting gassed already. Afterwards, I jumped on the treadmill and walked for a full 55 minutes. Uphill, downhill, fast pace, slow pace, you name it. I broke a sweat, but not much of a sweat. I didn’t want to push myself too much today because I still had a WOD on Friday, and I might end up doing the open WOD twice. 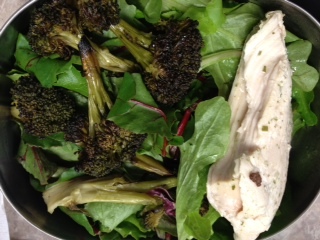 Here’s how I fueled myself through the day. 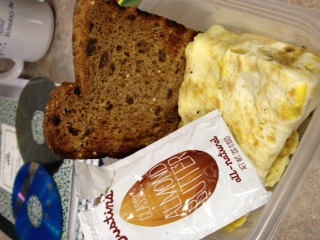 8:15AM(B) – Egg omelet with 1 slice of Ezekiel Bread and 1/2 tblsp of Almond Butter. Yum. 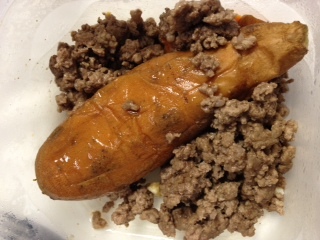 10:50AM(S1) – 4oz sweet potato with 3oz ground beef. Double Yum. 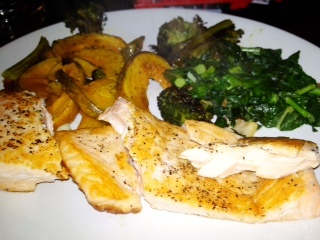 6:15PM(D) – Salmon plus roasted broccoli and kabocha w/ a little bit of kale. BTW, my work had a bake off today, and I made Melissa J’s Paleo Pumpkin Gingerbread as part of the “Special Diet” category. There was only 1 other entry in the special diet category which was Vegan Brownies. Of course, my cake was made with all natural ingredients. 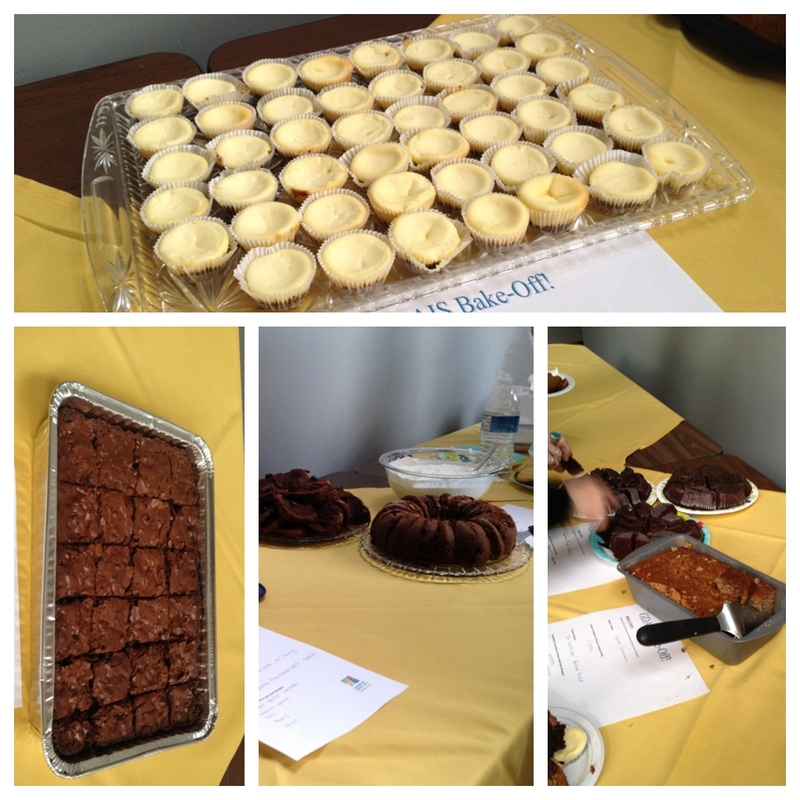 The vegan brownie was made with flour, sugar, and all the other wonderful artificial stuff. Kinda weird. Nonetheless, I won in that category! $60 amazon gift card going to DIAPERS…oh yea! LOL. Here’s a pic of everyone’s dessert. Everything look tempting, but of course I stayed away. After we put the kids to bed, hubby was helping me with my form on the burpees. We were dissecting Carl P’s breakdown of the movement, and I’m definitely going to spend time practicing this. Gotta remember to do the Mobility WOD before I do the workout. Open up those damn tight hips of mine. All HIPS baby! Right on! That’s so awesome that you won! Congratulations! 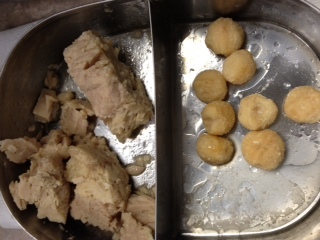 And good on you for bringing a dessert treat made from REAL FOOD. YAY!